Cheating in Baseball? Say it ain’t so! Home / Articles / Columnists / Sports Feature / Cheating in Baseball? Say it ain’t so! A former justice of the United States Supreme Court once famously observed that, as part of his morning ritual, he would often go to the sports page first before reading the front page news. When asked why, the Justice replied he preferred to begin his days by “...seeing man’s success, as opposed to observing man’s failures.” His point being the sports page (when newspapers were actually read) was a place to celebrate man’s success whereas the front page often showcased the opposite results. So, it’s with a great deal of unhappy, yet realistic, thought that we read about the budding espionage scandal now engulfing Major League baseball, and specifically, the St. Louis Cardinals. In short, the FBI is investigating the actions of a few Cardinal executives who allegedly hacked into the database of the Houston Astros, one which housed sensitive information about scouting reports, talent evaluation and internal memorandums about the team operations. Since the investigation is in its nascent stages, we don’t know a whole lot about who was involved and what was done with any potentially purloined information. But it does show even in sports the urge to be successful, to get the “edge”, or to just retaliate against your former employees (as may be the case here) transcends all walks of life. I guess none of us should be surprised the competitive urges which drive anyone to be successful in their chosen field (especially in light of “deflate-gate and Spygate”), would somehow be exempt in the sports world but it is disheartening, nonetheless, to find out that even in life’s toy factory we have to endure stories of corporate espionage, hacking into computes, and the illegal garnering of private information. It’s beginning to look like our former Supreme Court Justice will have to turn to other parts of the paper to satisfy his search for man’s success. 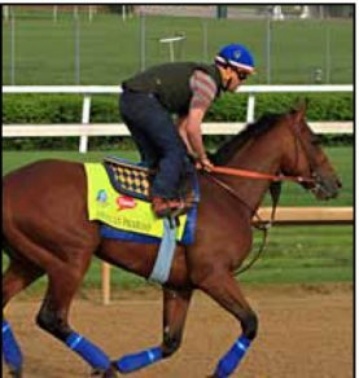 Normally, given the editorial constraints of our publication, we’re not able to be as timely as we would like when it comes to covering current sporting events, but we’d be remiss if we didn’t mention the accomplishment of American Pharoah in completing his chase for horse racing’s Triple Crown. In winning the Belmont Stakes, Pharaoh soundly defeated all comers in what was generally considered a reasonably strong 3-year old field this year. And remember: no horse since 1978 has accomplished the feat, though many have come close; so it’s certainly a time to raise a glass and toast a truly great champion who won the right way and brought acclaim to himself, his connections and his sport. Come to think of it, have we found a new place to look for “man’s” success?